For me, the process of describing the posterior horn of the medial meniscus to someone not in physical medicine is like my high school math teacher trying to describe to me why using letters in math is a good idea. My future as a mathematician is bleak, but on the rehab end of the world, the app Knee Decide by Orca Health software has revolutionized my ability to help my patient’s understand what is inside their body’s. 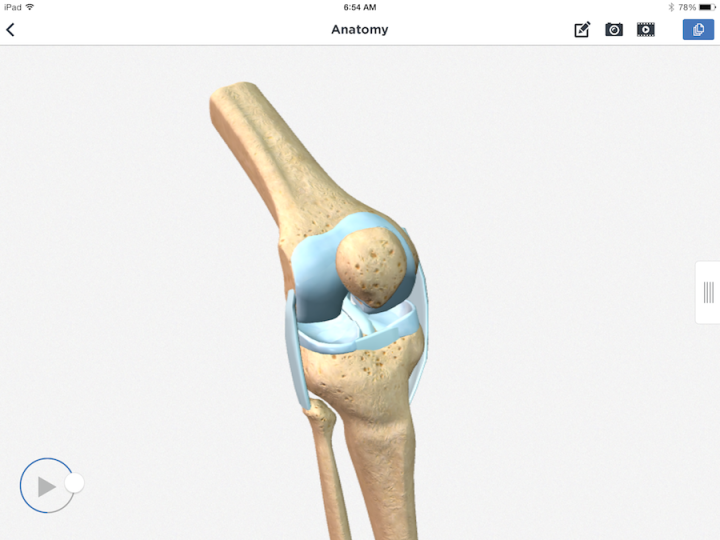 As I discussed in my previous blog about the Shoulder Decide app, Orca has given me the ability to dive inside the human body without having to enroll in a course involving a cadaver lab, or shadow a surgery. Don’t get me wrong, shadowing surgery is a great experience, and one I highly value. But since most of my patients don’t get that luxury, with my iPad I’m able to bring a very detail rich learning experience into the rehab environment.